Sheila presses Mateo for results. Bill explains to Liam that he&apos;s supposed to lead by example. He says he wants to be more like Liam. Liam looks confused like he doesn&apos;t really comprehend what Bill is trying to say. He cautiously accepts Bill&apos;s wishes to move forward. Quinn is freaking out because the fire alarm is going off and she can&apos;t seem to turn it off with her phone. Sweaty Mateo runs into the house through the unlocked front door and tells her can can turn it off manually. Wyatt and Katie fret about Liam&apos;s well-being. They hope for the best. She talks about how she came to grips with Brooke&apos;s betrayal. She tells him he has to be the glue if Bill and Liam can&apos;t reconcile. Mateo tells Quinn he sent for a repairman to fix the alarm. She tells him she hasn&apos;t been sleeping because of Katie and Wyatt. He says he can help her relax with a massage. She politely declines. Mateo calls Sheila with an update. Bill and Liam agree not to let things get out of hand again. Liam wonders why Bill didn&apos;t grind him into dust. 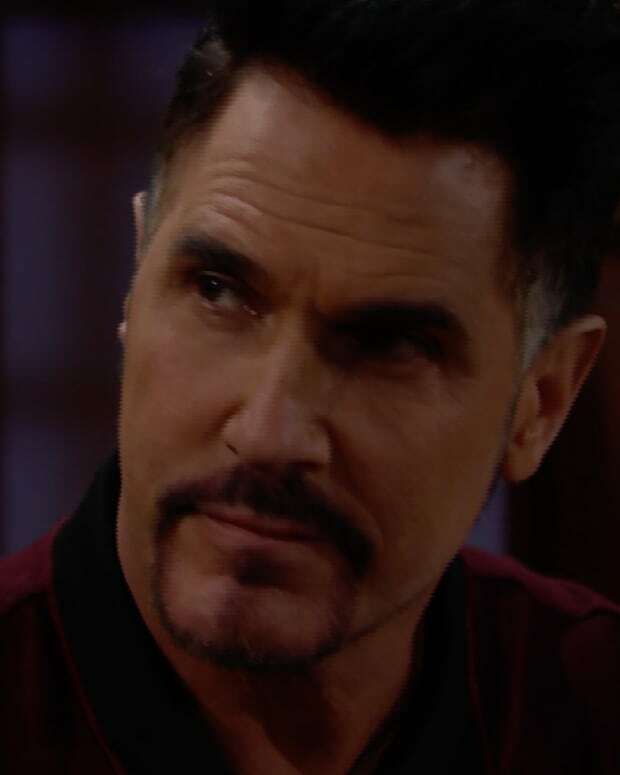 Bill turns to Steffy and praises her to the heavens for keeping him level-headed. Quinn is getting ready to nap when Mateo comes up to her room uninvited. She changes her mind about the massage. Mateo lets his hands roam over Quinn&apos;s back. She gets alarmed. Mateo asks if it feels good. Wyatt comes into the office wondering if everything is okay. They assure him that all is forgiven. Bill tells Wyatt he wants to run Spencer with his boys at his side. Bill thinks this will be a step for Brooke to return to him. Liam promises not to take his relationship with Steffy or Bill for granted again.